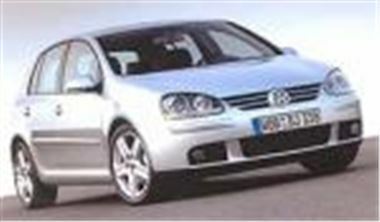 Volkswagen has changed the specifications and price structure of its Golf range to make list prices better value. Reductions range from £150 on the Golf S, to £910 on Golf GT FSI/GT TDI models. Golf S models now have climatic air conditioning as standard. Golf SEs 5-drs gain rear electric windows and a convenience pack of see you home home lighting with automatic headlights on; automatic dimming rear view mirror; rain sensor; and front footwell illumination. Golf GT FSI/TDI gets Climatic semi-automatic air conditioning fitted instead of Climatronic.